Virtual-Hideout.com: Is Nvidia's GRID About to Change the Face of Gaming Forever? 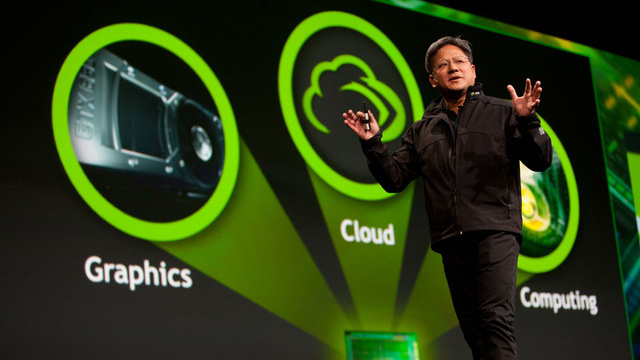 Is Nvidia's GRID About to Change the Face of Gaming Forever? Many people have wondered about the future of video games in recent years, and at E3 2012, graphics card masters Nvidia tackled this question head-on. Their answer? That all video games in the future will run from the cloud. That’s right, just as Spotify streams music and Netflix streams movies, Nvidia believe that their service will stream video games. There is of course one company who already offer cloud gaming: OnLive. But one of the key problems that gamers face with the service is latency – especially with higher-end games and those that require quick reflexes, like first-person shooters. With their all-new cloud gaming technology, known as Nvidia GRID, the company are claiming that latency issues will be a thing of the past, making cloud gaming a very real possibility for gamers everywhere. The company describe the technology as “dedicated ultra-low-latency streaming technology and cloud graphics software”. In fact, in one of the visual charts released by the company in support of the system, the total latency (or input lag) of the new GRID hardware is actually less than that of a console being played through a TV via HDMI (although this claim is hard to swallow). So how does this supposed saviour of gaming work? Well, with the help of game-streaming specialists Gaikai, Nvidia have created dedicated GRID units, each of which contain two Kepler-powered GPUs and can – if the press releases are to be believed – render eight different games at the same time. 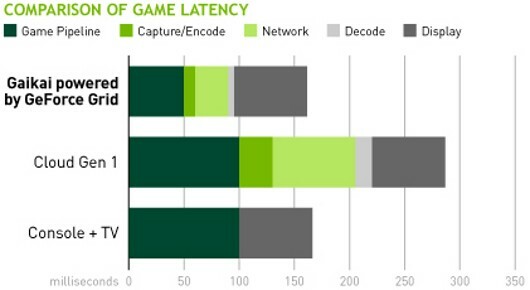 As for the technology that enables ultra-low latency, Nvidia have been a little more cagey. They’ve only said that “fast streaming technology” will allow for latency as low as 10 milliseconds. Whether this means that the visual quality of the stream itself will suffer remains to be seen, but it’s hard to imagine they’ve got the hardware to stream top-end games at high graphics settings without any lag. 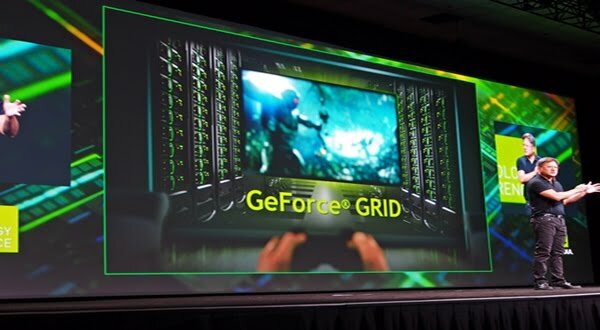 Nvidia GeForce GRID, which is a joint project between Nvidia, Samsung, and game-streaming service Gaikai was announced back in May, but the first glimpse the world got was with a working demo on-stage at E3 2012. 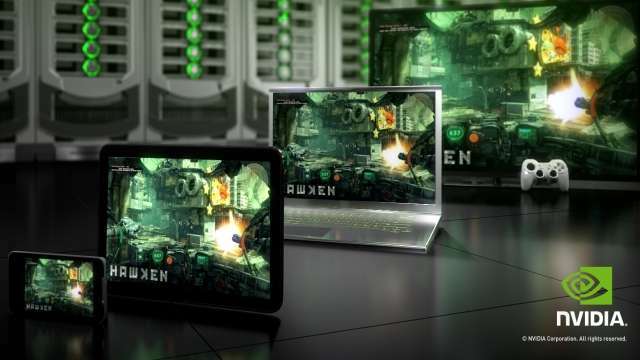 The team from Nvidia chose to show footage of the upcoming game Hawken, which is a mech first-person shooter. Whilst it’s not the most interesting game to look at (lots of greys and blues), the demo did highlight a few advanced graphics and particle effects, and ran at a solid 30-40 frames per second the whole time. That’s enough to offer a comfortable gaming experience, and 30fps is one of the most popular choices for console developers. Latency, as Nvidia promised, was apparently less than 10 milliseconds at all times, too. This is obviously not comparable to the 0ms lag offered by local hardware, but it’s still a lower figure than many players experience when playing a multiplayer game online. Having said that, input lag (the amount of time it takes for button presses and mouse movements to register) is always instant on local hardware, even when playing online games – so it may still present an issue to some players. Will Nvidia GRID change the way we play? The big question now is whether or not the new GRID system will take the place of local hardware, whether that be graphics cards or games consoles. Nvidia have certainly generated a good proof of concept with their E3 demo, but the same questions keep cropping up: how will they possibly guarantee a good level of service when everyone has a different internet connection? And can the new tech ever be fast enough to support competitive gaming like Counterstrike? It seems that perhaps this form of streaming technology is still in its infancy. In a world when we’re all at different speeds, there are never any guarantees. Having said that, Nvidia GRID would be ideal for more slow-paced games, like RTS titles. Likewise, racing games that see players take the driving seat of a four-wheeler would also work quite well with a cloud-based gaming system. However it seems that Nvidia and co have their sights set on the high-end gaming market – so only time will tell whether or not cloud gaming is the way we’re going. There’s currently no release date set for Nvidia GRID, but we’ll certainly be keeping an eye on it as the system evolves. Submitted by guest writer J. Harrison. Thx! "Nvidia have created dedicated GRID units, each of which contain two Kepler-powered GPUs and can – if the press releases are to be believed – render eight different games at the same time." They also said to us that we can run Physx on a single video card. I always prefer to turn those options off because with Physx on, my games start to slow way down. What's up Nvidia? Do you want us to start thinking about buying our next video cards from ATI? Cloud gaming sounds like a horrible idea. And I like to choose which hardware to buy when I play games. I have to agree with the previous poster - horrible idea. This is like an answer to the unasked question "how could I design a system that gobbles up bandwidth (at who knows what cost), increases latency, and works only when the user's WAN connection is working?". Hardware frame rendering needs to be done locally for best response time. I know "Cloud" is the hot buzz word of the week, but c'mon - just apply some basic system engineering logic to this and it falls apart faster than, um, a really flimsy thing. Once again, corporation don't care about reality. What are they going to tell people who have slow and or maybe super slow internet connection... too bad you can’t play their games? Because of internet issues in their community? This cloud idea is bad... Not to mention they can't protect our information, and when it does get compromised they just say were sorry, deal with it.